The Rebel Sweetheart. : 25 Math Short Cuts | Math Made Easy. Perhaps two of the most meaningful gifts that Yue received last Christmas (at least in terms of educational purpose) were these books from MATH-Inic - Algebra Made Easy as Arithmetic and 25 Math Short Cuts. Yue and I only managed to flip through the pages of these books during the Christmas break as we had been too busy with family gatherings and stuff (it is the season of partying, after all). We finally had the time to read the books properly during our very recent 5-day stay hospital. 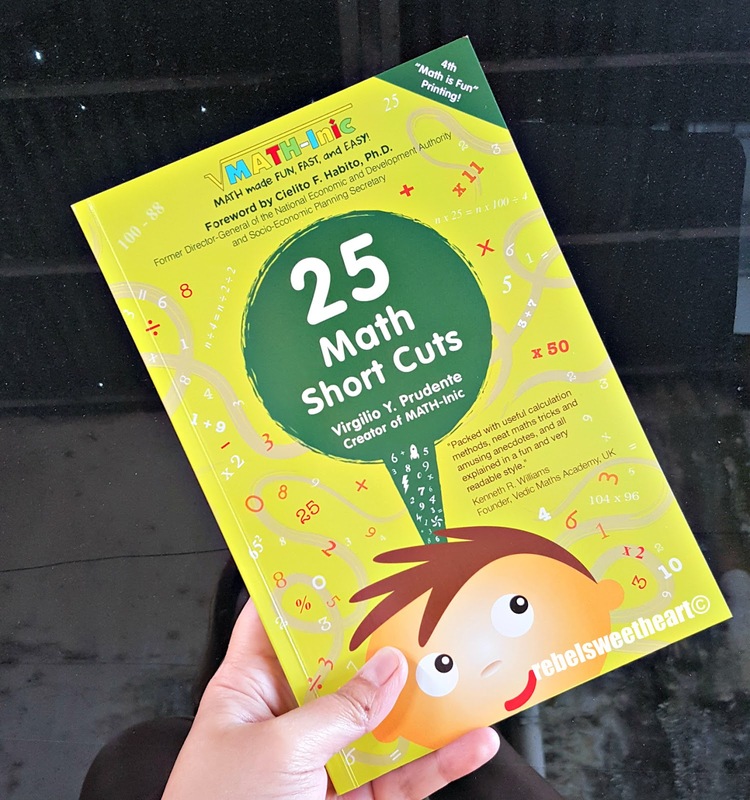 Yue got admitted for pneumonia last Saturday, and one of the the things that kept him preoccupied whilst there - aside from eating and watching cartoons - (no gadgets for him during that time) was this book, 25 Math Short Cuts. 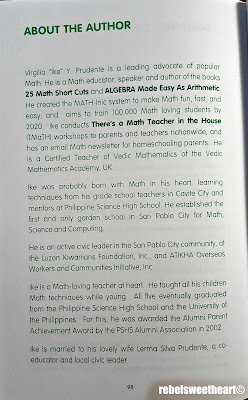 Written by Mr. Virgilio 'Ike' Y. Prudente, the creator and founder of MATH-Inic, this book was first published in 2014, in celebration of MSC's 25th Foundation Day. MSC is the first and only school in San Pablo City which specializes in Math, Science, and Computing - an institution also founded by Sir Ike. 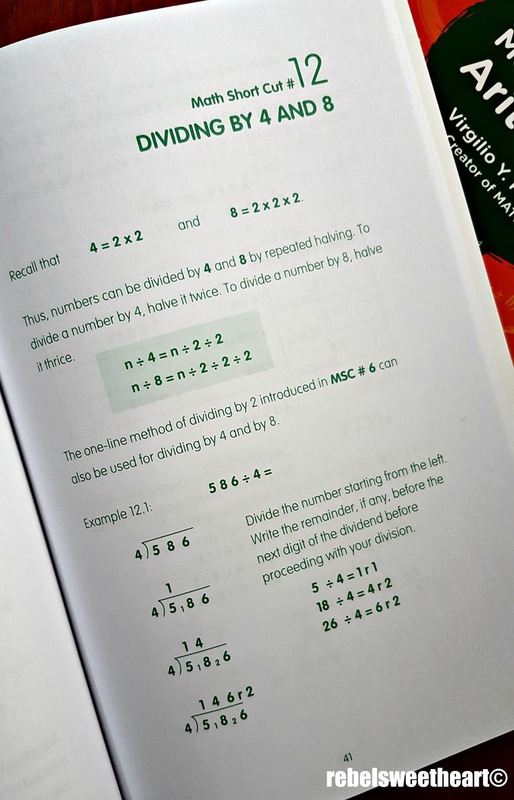 Now on its fourth printing, this book contains practical algebra tricks for everyday use. For students, these simple tricks can help them solve problems and equations easily and might help in improving their grades. An overview of the book and the author. My initial thoughts as I skimmed through the pages of this book was, "Homaygad, numbers! I can't believe I'm seeing all these numbers again!" You see, Math and I were never friends. I won't deny it - I struggled A LOT with Trigonometry and Calculus back in high school. I was probably the only student at UP Rural High School (or at least in my batch) to be part of both the Advanced English Class and the Math Remedial Class during my junior year, lol. Also, that wretched 4-point-oh I got in Statistics back in college was the only eyesore in my otherwise nifty TOR. But as Yue and I read the book carefully, understanding each short cut presented, and solving the exercises as we went along, I started to see Mathematics in a different light. I was like, "Why didn't this book exist when I was still studying?!" My life could have been much easier in high school had I learned all about these tricks when I was younger, lol. One of the many 'math tricks' you will find in this book. For Yue, however, it's a different story. He loves numbers, and numbers seem to love him too, considering how he excels in Math. That being said, he enjoyed 25 Math Short Cuts from the get-go. 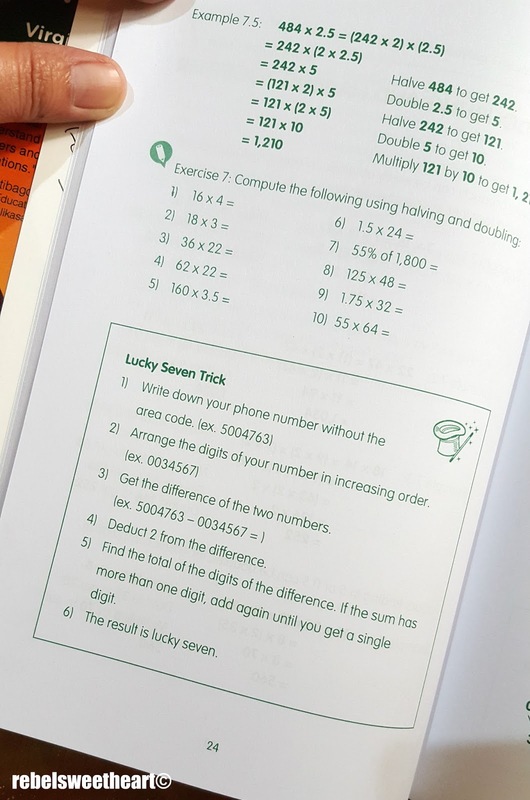 The title of the book alone was enough to pique his curiosity, and he really did immerse himself in this book, with matching 'oohs' and 'aahs' as he applied the short cuts to the math exercises. Math Short Cut #3. 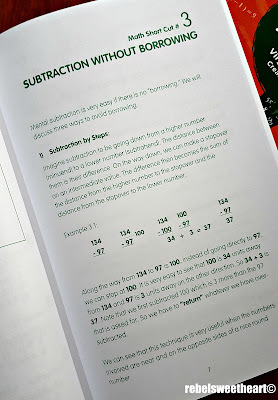 Subtraction without Borrowing. Math Short Cut #12. Dividing by 4 and 8. Aside from numbers, equations, and exercises, this book also contains 'Math Stories' - snippets of Sir Ike's life and career and how he incorporates these math tricks into his daily activities. I really enjoyed reading these stories, as it gave me a glimpse of how Sir Ike is as a father, as a friend, and as a mentor. Similarly, you'll get a 'feel' of how impressive Sir Ike is based on the testimonials from several academic and public personalities. The book's foreword, for instance, was written by Mr. Cielito Habito, former Director General of NEDA and Sir Ike's batchmate in Philippine Science High School. 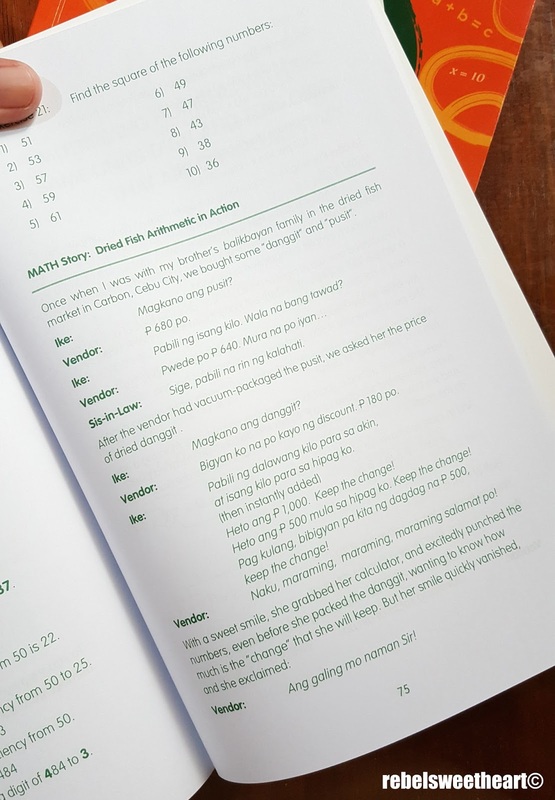 All in all, the book 25 Math Short Cuts makes a great supplement to your child's Math lessons. 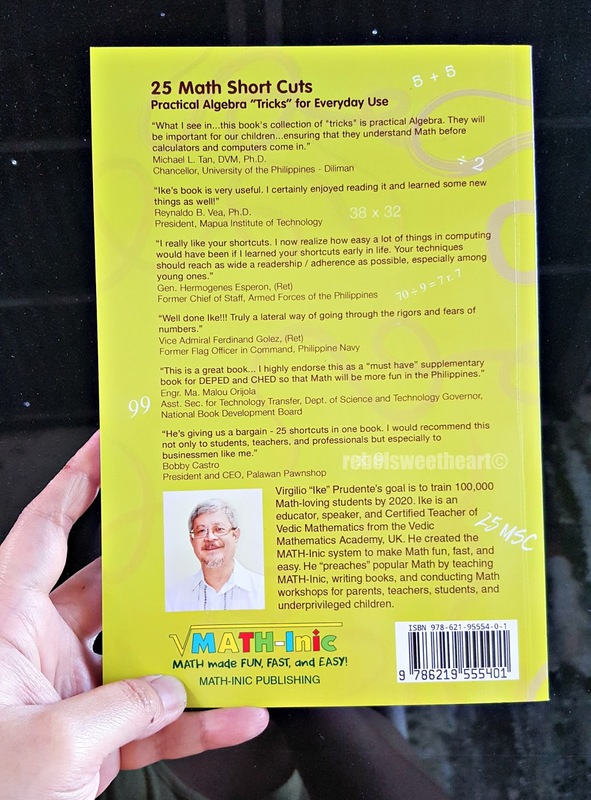 True to the MATH-Inic motto, this book turns Math haters into Math lovers, and Math lovers into Math masters. The book is easy and fun to read (just don't let the numbers intimidate you), and can be read however you want it - in order, or by skipping to the chapter that you find most interesting or useful. If you're a hustler with numbers, you can probably finish this book in one sitting. Yue and I took our time, 'digesting' all the information (remember, I'm quite the slowpoke with numbers, lol) as we read about the short cuts one by one. Thank you for the gift of knowledge, Sir Ike! 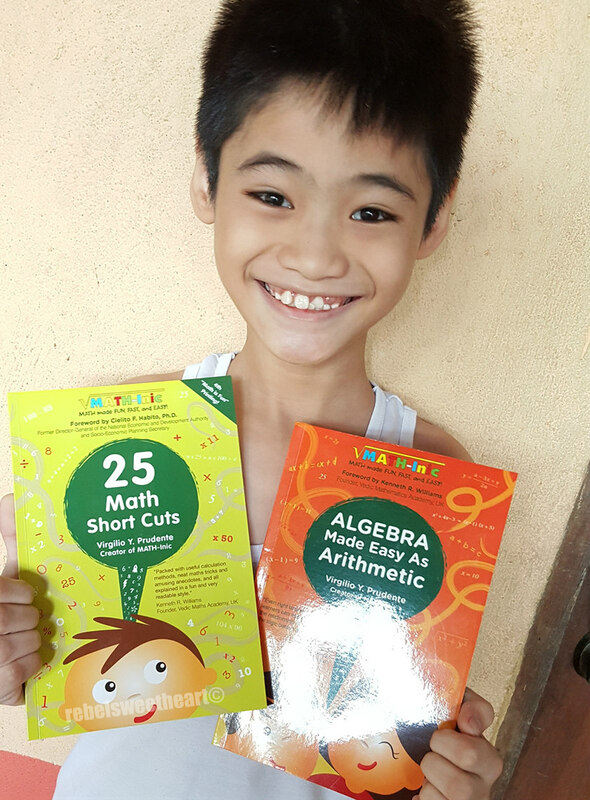 You can get your own copy of 25 Math Short Cuts online via the official MATH-Inic website. Each book retails for Php 250 each, or you can purchase it as a bundle with the Algebra Made Easy as Arithmetic for Php 500. And yes, they ship anywhere in the Philippines! Outside of the country? No worries! This book is also listed on Amazon! Follow MATH-Inic on Facebook for promos and updates. This seems like a great product! I didn't struggle that bad with math in school but I definitely would have appreciated shortcuts to save myself time. Its lovely to see something like this readily available to nurture your child at home, especially if they are struggling in an area that would be ideal! I going to have to share this with my sister. I think this would help my niece and nephews out with their math. Ohh this looks fun! I'm so glad to hear that it's helping your son out! This looks so helpful. Math is a struggle for us. Wow. I was once looking for something like that. 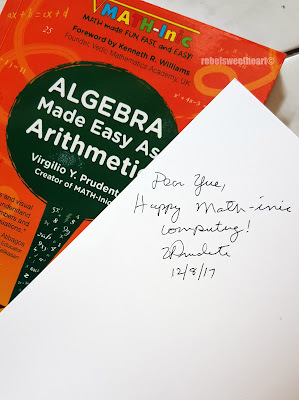 Would certainly check the website coz my 12-year-old boy loves Math and these kinds of books are what he would surely appreciate. 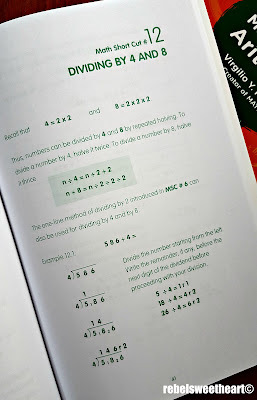 Wow, this book is really helpful to those kids who are eager to learn math, and also those who want to refresh their skills in solving Mathematical equations. It's also good to know that they're not so expensive at all. I love Math. And it looks like my daughter got that from me too. But still, these book looks promising. Who wouldn't want to make Math easy? This is a nice and helpful reading material especially for those parents who tutors their own kids. I am not good when it comes to math also but my daughter seem to embrace it as she would her best friend. Price is very affordable also. Great find! Will review this book, I hope nabasa ko to before the entrance exams ng youngest ko. Wow! Thanks for sharing this mommy, will check on this for my daughter's future math books.